Summary: In one of my earlier post I have provided the solutions on how to fix “Blank SD Card or Has Unsupported File System” error, in the same phrase, today I am going to provide effective solution how to fix SD Card “Folder is Empty” or “memory card empty” error message and how to recover data from it. Just read the post till the end. 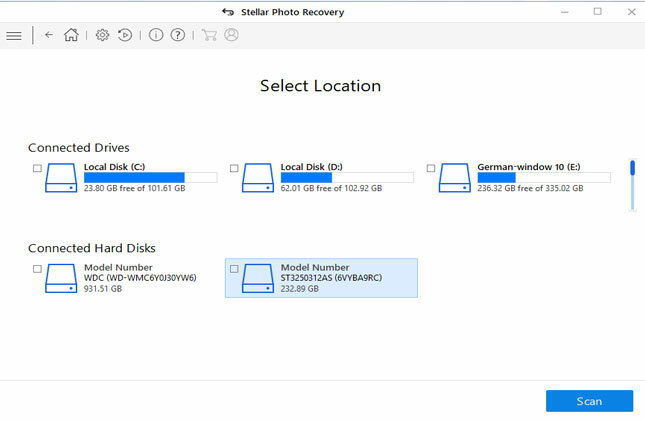 Rescue photos, videos and audio files from memory cards displaying folder is empty error message. Get back data from formatted, virus infected, corrupted, error throwing memory cards including SD cards. 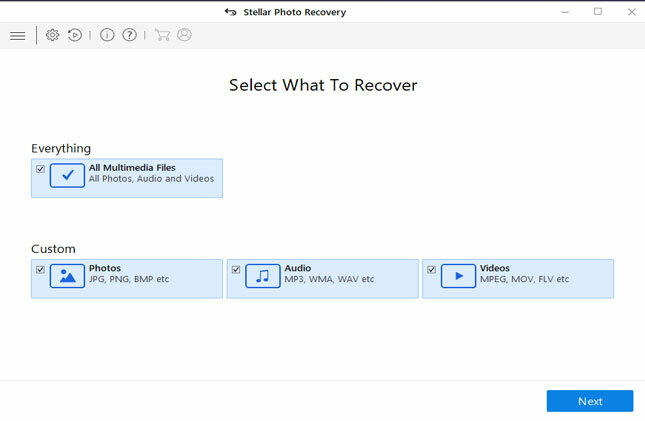 Retrieve back media files from several cards such as SD, SDXC, SDHC, Compact Flash, MMC, and so on. 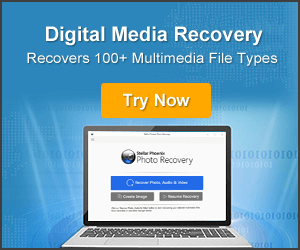 Restore almost all file formats of images (jpg/jpeg, png, gif, RAW, etc), videos (mp4, avi, mkv, mov, etc) and audio files (mp3, amr, wav, aac, etc) from external media storage devices. 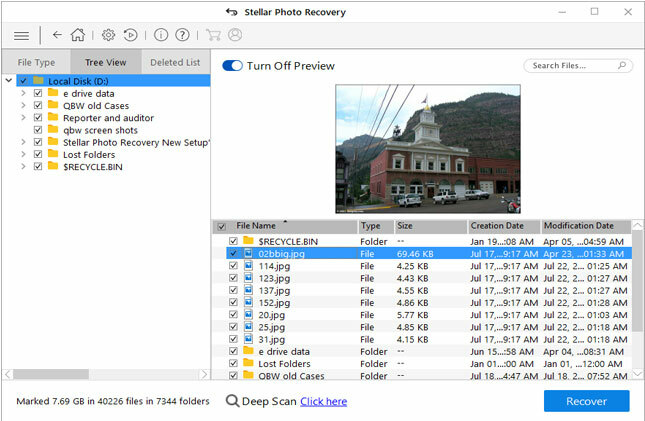 Support media file recovery from models and brands of memory cards such as SanDisk, Transcend, Kingston, Sony, Samsung, Lexar, HP and many more. As we all know that SD (Secure Digital) card is a small portable device that holds large amount of data. But it does not remain the same every time – today it might be working fine but the very next day as and when you connect the card to PC, it display error messages like “folder is empty” but when you check the properties it will show the ‘card is full’. In such situation, you will not be able to access data stored within it. But, you must also not consider that data is lost from it permanently and it cannot be recovered. Does data get lost permanently after SD card empty error? You must know that when data becomes inaccessible, lost, missing, deleted, that does not mean data is lost forever from the card, no matter whatever error messages SD card show up. The data is still present, until and unless you overwrite existence data with any new files. Hence, it is always recommended that you must immediately stop using card as when you notice data loss from it, if you really want to successfully retrieve data from it. For some reason my SD card shows as empty when I try and access it via my PC. However, when I use Astro File Manager or another similar app, I can see the many files on it when looking at them via the phone, but as I said, when I look at it on my PC and click on my “ext sdcard” folder, it’s completely empty. I’m sure I’m doing something wrong but can’t figure out what it is. When you connect your card for transferring files from it to PC or vice versa and if there is any interruption during transfer then it may corrupt card. Improper ejection of SD card during read/write process can lead to loss of data and your card may throw unexpected error messages. Using the same card on multiple devices and platforms is also another reason that can result in corruption to the card and it may create several problems. Virus infection to the memory card will easily corrupt the files and thereby do not allow you to access the files. In any of the above cases, we come across the loss of data including pictures, movies, songs and so on. So, it is always advised to keep frequent backup to deal with such situations. 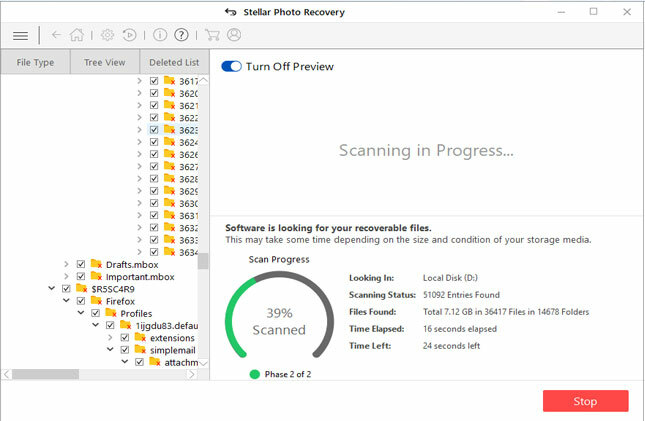 However, if you have not kept the backup, then you can use Photo Recovery software to restore media files from error throwing SD card. 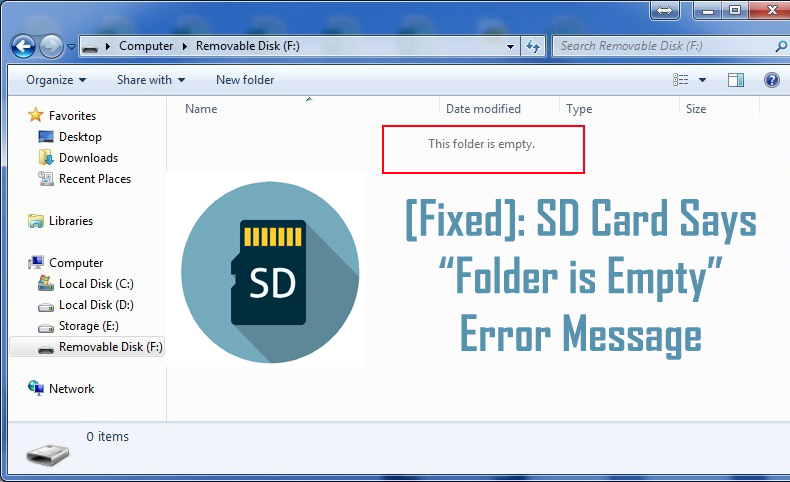 How to Fix SD card throwing error message “folder is empty”? Step 1: Connect your SD card with PC. Step 2: On your PC click START, type RUN in search address bar and hit ENTER. Step 3: A new window will get open, type cmd and hit ENTER. Once, process completes, you can check for the data from your SD card. These steps can be applied to any memory cards such as Secure Digital (SD), miniSD, microSD, SDHC, SDXC, Compact flash (CF), xD, XQD, SmartMedia, etc, no matter whether it is used in Android phone, windows phones, normal phones, laptop, Mac computer, digital cameras/camcorders, mp3 player, video player, etc. Is It Possible to Recover Data From SD Card Displaying Folder Is Empty? As mentioned above, “Yes’ you can recover media files like images, videos and audio files from all memory cards (SD, miniSD, microSD, SDHC, SDXC, CF, etc) that show folder is empty or other unknown error messages, until and unless you do not add any new files and overwrite the existing data on the card. 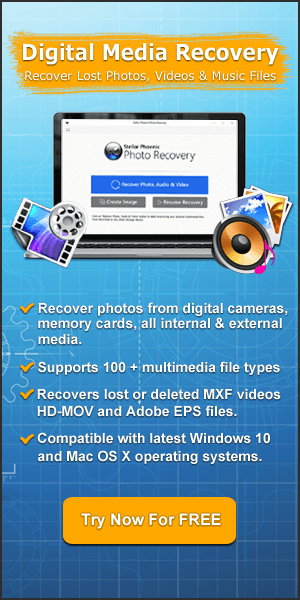 You can apply the appropriate SD card recovery software such as Photo Recovery for Windows/Mac. This software is perfectly designed to scan and retrieve inaccessible, lost, formatted, unreadable, missing, erased files from external media storage devices like memory cards, hard drives, USB flash drives, pen drive, digital cameras/camcorders and so on. Make sure that you always eject or remove the card properly and safely from several gadgets. Make habit of frequently keeping the back of your SD card. After loss/deletion of data, immediately stop using your card. Keep up-to-date antivirus to keep memory card protected from any external virus/threats. Avoid using same cards on different devices and platforms.